Today I am sharing with you a few 25 patch blocks and how to see them in a quilt and Jess from Elven Garden Quilts is explaining the math behind blocks like these. 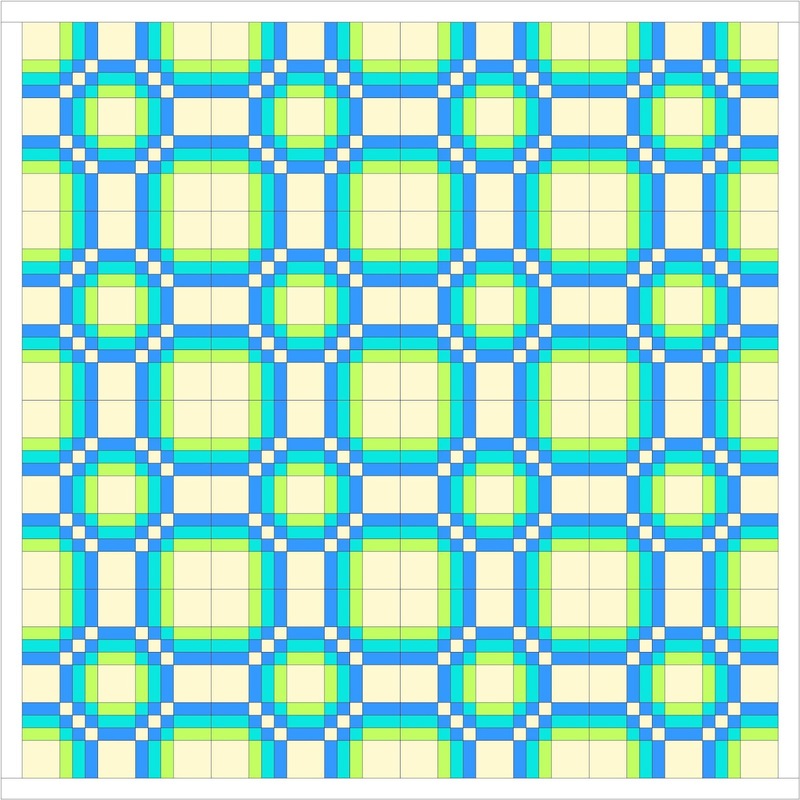 A 25 patch block is block that is made up of a 5 x 5 grid. All the blocks in the sampler, above, are 25 patch blocks. If you look carefully, you can see how each of the units in the block is part of the 25 block grid. In a quilt made of 25 patch blocks it might be hard to see the actual block. 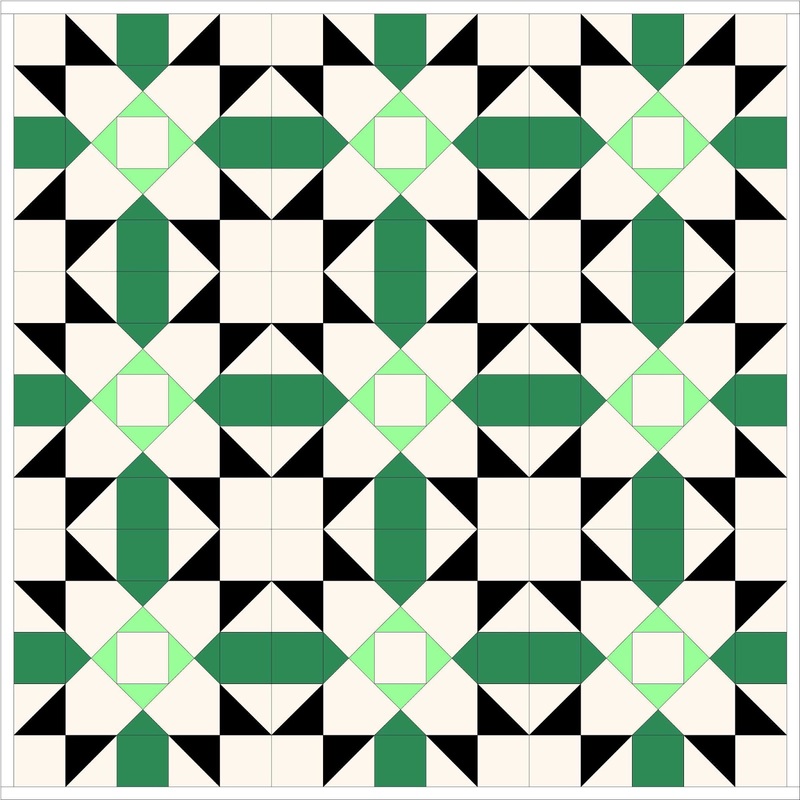 For this quilt, I turned off the feature of EQ7 (which I am just learning, having just bought the new version for my Mac) that records the block squares because if you pieced this quilt it might be hard to see the pieced white squares. 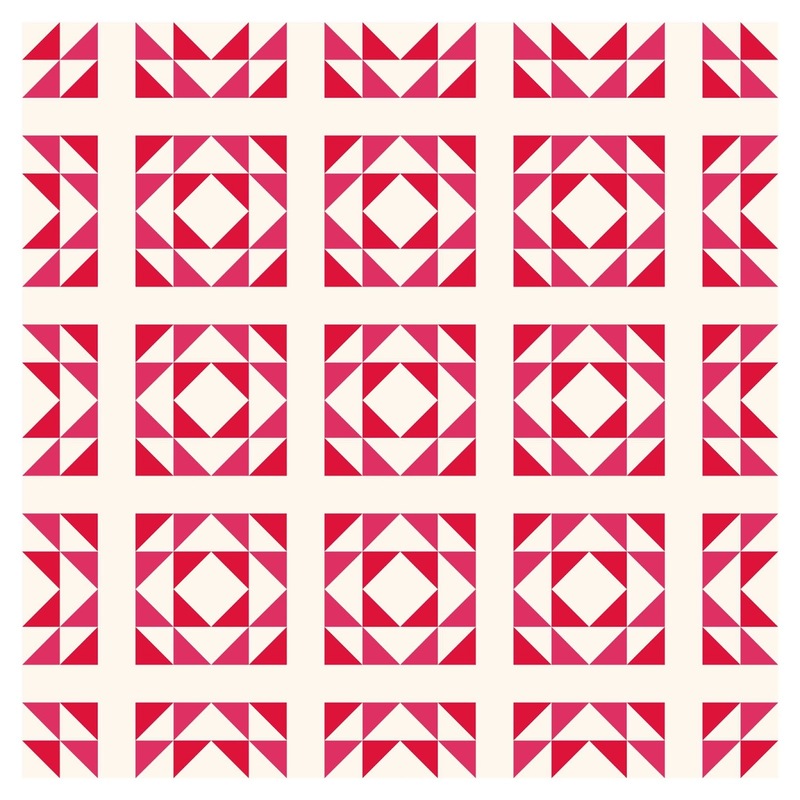 When you look at this quilt, at first you don't see the 25 patch - it is called Odd Scraps. 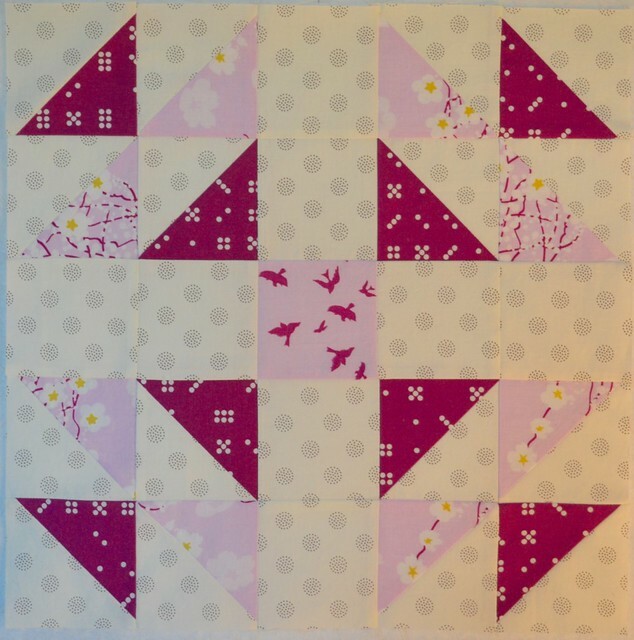 To see the block that repeats, you need to go to the left or right hand corner of the quilt and look until you can pick out the parts of the quilt that repeat. I pieced this block that will finish at 15". I think when I am ready to make a lot of hsts, this block is on the list. On this photo I left the grid rulers on, which makes it a little easier to see the Album Block in this quilt. This one really appealed to me. The block is called Providence, and is a old block designed by Nancy Cabot. Do you see how the secondary star that is not part of the block, it is a secondary pattern caused by putting the blocks together. Next time I make this block I am going to put contrasting fabrics in the middle, but it is also a block I would like to make more of. There are lots of 25 patch blocks, but less than there are of 16 and 36 patch blocks. 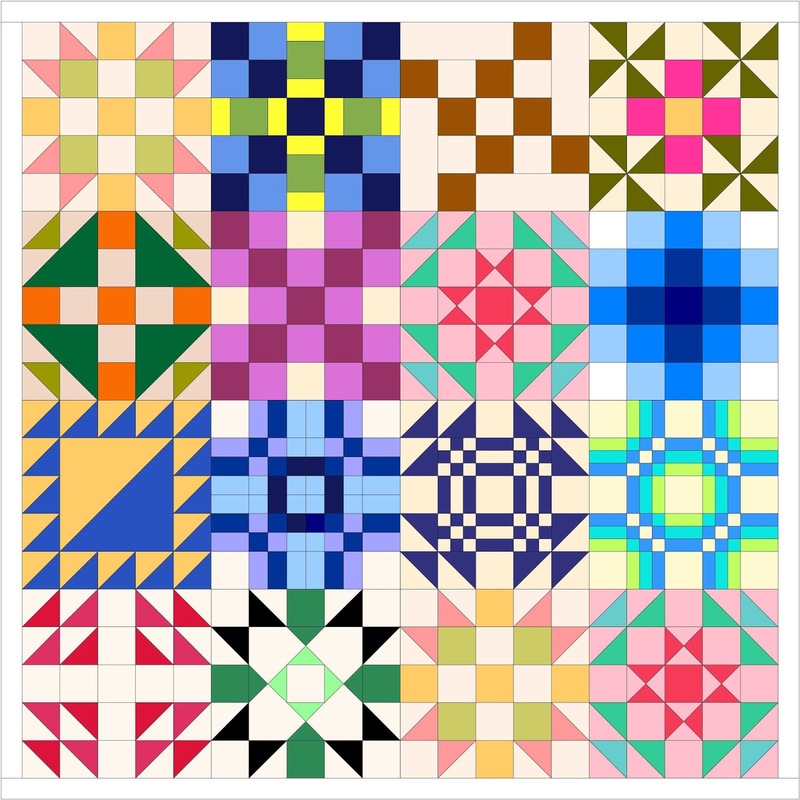 The fact that the 25 patch bock only divides by 5 makes harder to do the math for, and harder to fit into quilts with other blocks not based on a measurement using 5, and my guess is that discourages many quilters from using them. 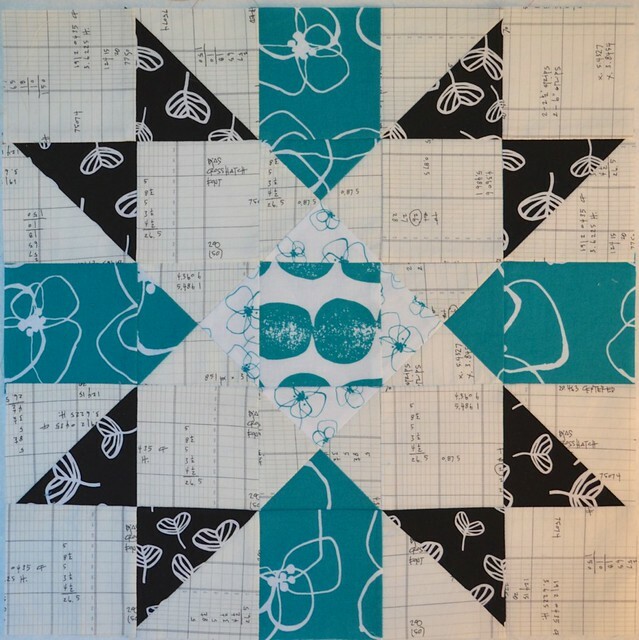 Jess at Elven Garden Quilts is explaining the math behind making these 25 patch blocks, don't forget to go over to her blog and read her post. 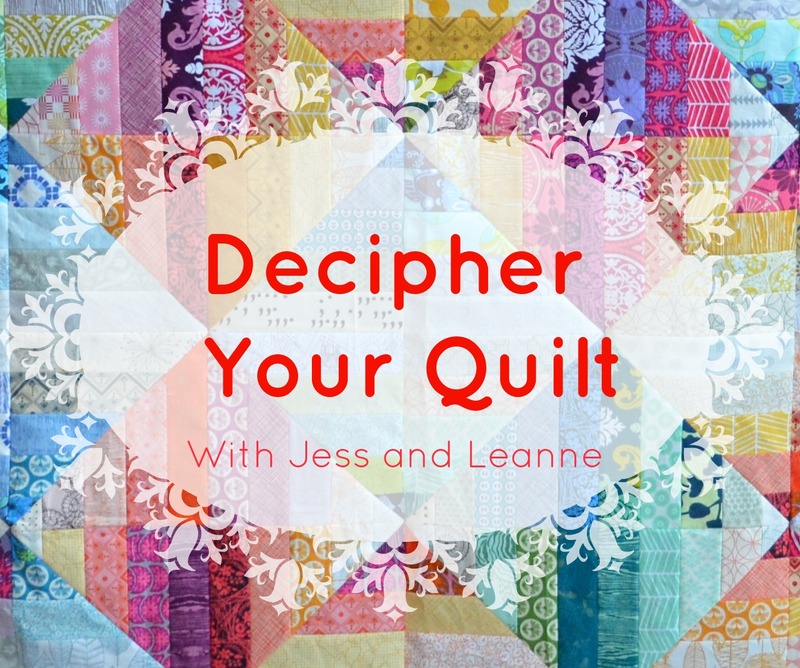 If you make some blocks or quilts using what you learn in Decipher Your Quilt, please share the with us in our flickr group. Let me know if you have any questions. I like the last block and need to try making one. Great! And I like that last one, too! You picked some beautiful example blocks Leanne. That bucket list just keeps growing! Great blocks Leanne! I really love these older ones! Gorgeous blocks - so many possibilities!! What a variety of great blocks. This series continues to be such a great resource! Wonderful examples. I love quilts where you can't easily see the block. Friends - a quilt - Ta Da!